It can be hard to get rid of yarn. You know that you paid good money for your yarn collection, and even though you may be starting to feel some stash guilt, it can still take some time before you're ready to part with your yarn. The good news is there are lots of options for destashing that will make you feel good, and may even get you a little money back in the process. It's possible to sell some of your stash to other knitters. Good places to start include eBay, Craigslist, and Etsy. eBay and Etsy have fees, but you can take that into account when choosing how much to charge. Another good option is looking into groups that are all about selling and swapping on Ravelry such as For Sale and Yarn Sale or Swap. You can also sell needles, books, and other supplies here, so you can destash your whole knitting life if you want. You can also add a section to your stash on Ravelry for items you're wanting to sell or trade. You could also have a yard sale and include the yarn in that, but you're unlikely to get a good price on yarn sold that way. If you're interested in getting rid of the yarn and making a little money along the way, that's certainly one way to do it. Donating your yarn stash will get it out of your house quickly, that's for sure. You think of donating to the Salvation Army, Goodwill, or a thrift store, but there are other options out there. If you don't want to deal with the hassle of selling your yarn, you should seriously consider donating your yarn to a worthy cause or charity. 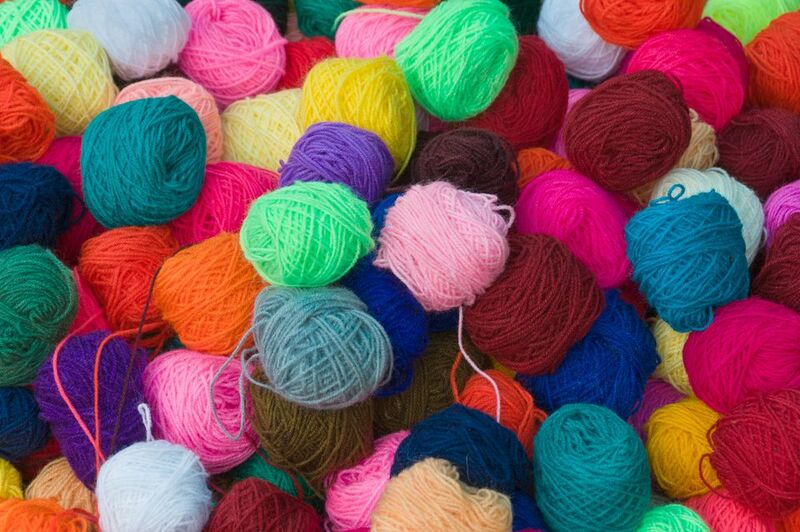 There are so many knitting charities out there, from international to local, that you're sure to find someone who'd be willing to take the yarn off your hands to craft it for a cause. Keep in mind, just as you would when donating finished items, that different groups have different needs. Look for local groups such as prayer shawl ministries, schools or clubs that teach knitting, senior centers with knitting groups, and other places that might be overlooked but have a lot of need for fiber. Another possibility is to host a yarn swap but only give yarn away rather than taking any yourself. Your knitting friends will probably love to get their hands on pieces of your stash, and they might even knit you something nice as a thank you! If you take part in a knitting group you could take a skein or two every time and give them to someone. This will take longer but might be more fun, especially if you make it a game or a raffle rather than just asking who wants a particular yarn. Your yarn stash didn't accumulate in a day, but that doesn't mean you can't get rid of less-loved items in your stash relatively quickly if you want to. Are You Really Allergic to Wool?